"Love the Lord your God with all your heart, with all your soul, with all your mind, and with all your strength. And...love your neighbor as yourself." 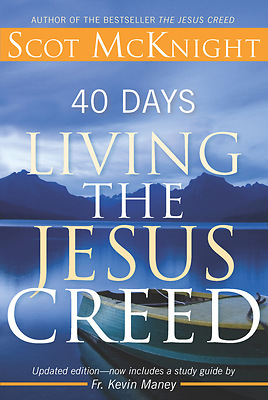 Scot McKnight has come to call this vital teaching of our Lord the "Jesus Creed." He recites it throughout the day every day and challenges you to do the same. You may find that, if you do, you will learn to love God more creatively and passionately, and find new ways to love those around you.